If your goal is just healthy teeth, you may be stopping short of your smile’s full potential. After addressing the overall health of your teeth and gums, you still may be left with a smile that you want a bit brighter or several shades whiter. The lasting solution from professional teeth whitening is like Photoshopping your smile, all day, every day! When you walk down the dental care aisle of any major store, you’ll notice that having white teeth is a priority. The whitening toothpastes, gels and kits available make it obvious that having a brighter smile is important to many. Do they work? Are any of them harmful? Some stains to the surface of your teeth can be removed with over-the-counter (OTC) products. The gels and pastes often contain an abrasive additive that will, over time, help to diminish the effects of the foods and beverages that have stained your teeth, such as coffee and tea and foods such as blueberries. (That abrasive can also wear away your enamel, leading to bigger problems down the line. In dental care, you often “get what you pay for!”) OTC products do use some of the chemical whitening agents applied by professionals, but in weaker concentrations. So ask yourself, if you’re looking to get your teeth whiter and prettier, do you really want to use a product that takes lots of time, uses weak ingredients and may just be scratching the surface, both literally and figuratively? Instead of wasting your money with OTC promises, let’s look at what a professional Placerville dentist can do for you. With your first visit to Placerville Dental Group for tooth whitening, you’ll be well on your way to a more vibrant smile. We can quickly determine the best type of whitening process for your teeth and make appropriate suggestions for in-office or at-home professional tooth whitening. If the whitening process you choose uses the Boost system, your whitening will be finished in our office. 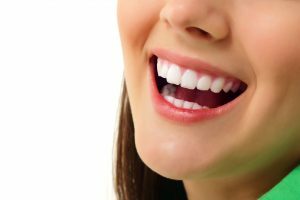 If you also decide to go further or to maintain your newly whitened teeth, custom made, fit-to-you whitening trays provided by our Placerville dental office are superior in many ways to their OTC look-a-likes. One-size-fits-all trays that actually fit poorly cause the whitening gel to ooze out, and if you are like most people, oozing gel in your mouth is not what you want in life. Put your teeth whitening in the hands of a professional. Our whiteners do not use abrasives to get the job done. We also apply protectants during the whitening process to prevent tooth pain and enamel damage. Don’t waste money and time by trying to whiten your teeth with OTC products. A professional consultation at the Placerville Dental Group will let you know which approach is best for you. For stains that cannot be removed by whitening agents, veneers may be a better option, but the majority of teeth stains and dullness are removed with our two different approaches: traditional whitening or the Boost whitening system.